How did an inexperienced shepherd boy defeat a giant, veteran warrior with superior weapons? How did Bill Gates, a twenty something Harvard dropout, best his rivals in the software industry? How did a young Rupert Murdock outbid his competitor with only half the resources to launch his career as a media kingpin? What enabled Lee Iacocca to take a company on the brink of ruin to solvancy in a few short years? The answer isn't much different than what allowed David to defeat Goliath over 3,000 years ago in ancient Israel. Nearly 80% of businesses fail in the first four years. A great many of these failures are due to corporate competition. Does it have to be this way? Is there some way their little guy can win over their giant adversaries? Entrepreneur and author Daniel L. Lowery says the answer is "Yes! Yes! Yes!" His book, "Battling The Corporate Giants: The Ultimate David and Goliath Story" taps the timeless wisdom of the bible's most famous underdog and shows entrepreneurs how to apply it to their businesses. He spent over seven years researching the greatest underdog sales techniques in history. 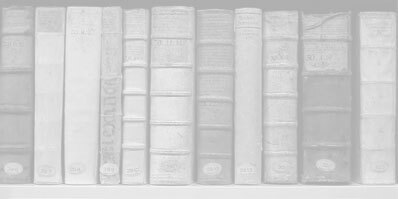 Readers will learn how to baffle opponents with different weapons, diversions and quick responses. They will outsmart by turning their rivals strength into weakness, taking the least expected route or calling the shots. They will also learn to avoid corporate traps such as attritional battles, monopolies and abitration to name just a few. Everyone is an underdog at some point in their career. When you find yourself in that role make the most of it by using the secrets of David, the world's most famous underdog, and start winning today. 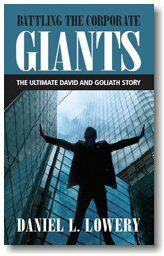 Promo: Order two copies of "Battling The Corporate Giants: The Ultimate David and Goliath Story" and receive the second copy at only $17.99. Available only on this web site. © 2007 lowerybooks.com All Rights Reserved.